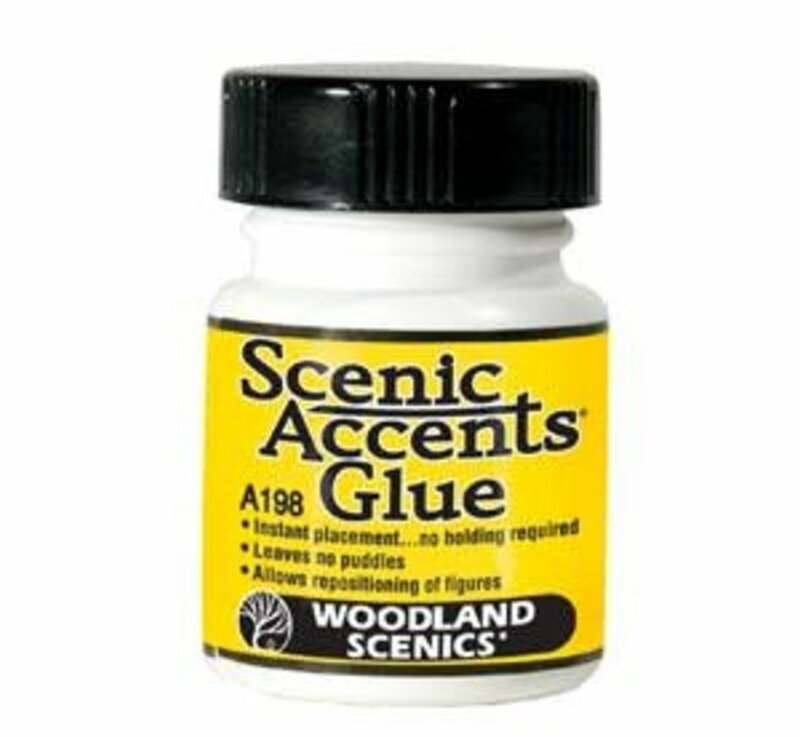 This is a 1.25oz Bottle of Accent Glue from Woodland Scenics. 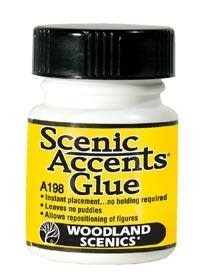 Specially formulated for attaching figures to your layout. Leaves no puddles or residue. Allows for repositioning of figures or details. 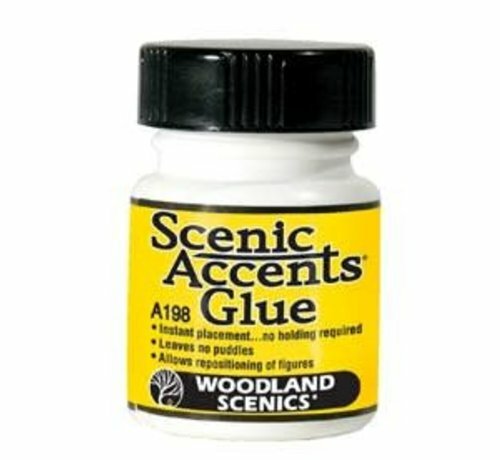 Small brush applicator attached within the lid. 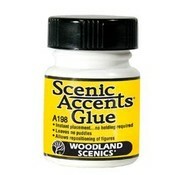 Compatible with plastic, wood or metal. Plastic bottle with screw-on lid.